Ele is an app designed for those anxious about death. It creates a daily awareness of our own mortality, making the topic less taboo while encouraging one to live each day to the fullest. If you think about daily life as a series of colorful experiences, and death as the cumulation of all those colors, in the end they create black. 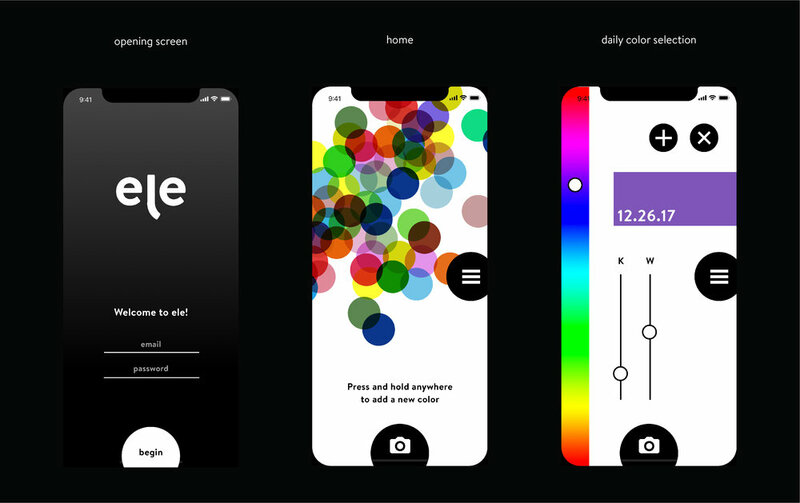 The homescreen visualizes this idea by layering colors chosen each day by the user based on how much they "lived." 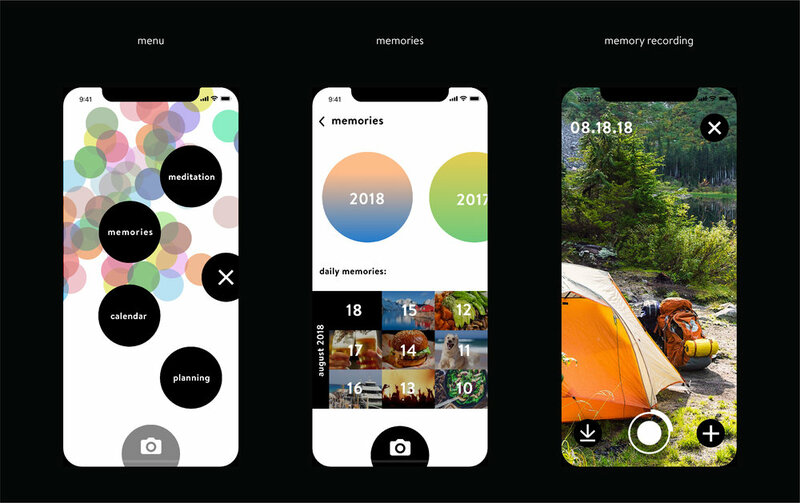 The app can also record short videos and photos representing each day. Over time, these memories are collected into videos that chronicle past months and years. A section of the app is dedicated to guided meditations on death and life. These meditations begin with a color focus to explore different emotions related to their experience with death. 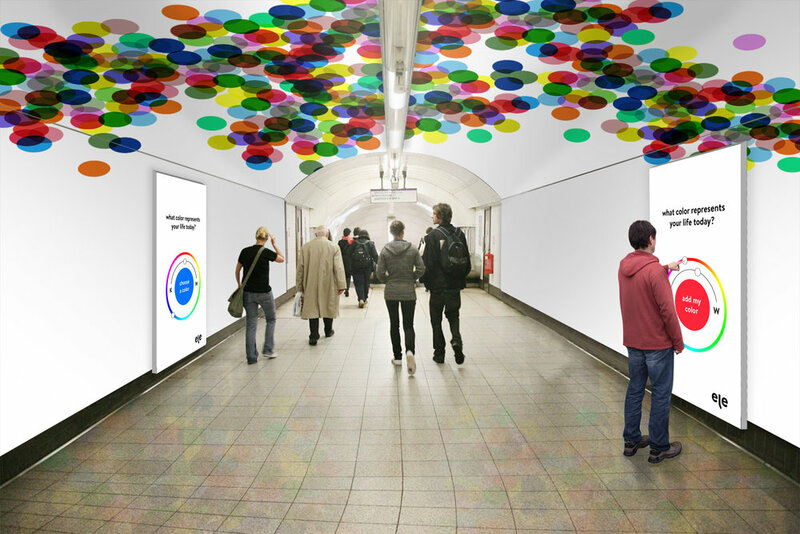 An interactive subway experience collects the color experiences of passengers for a promotional installation.